I have had a lot of headaches with herbicide drift this year, as I mentioned in this post. As you know, if you have had history with this problem, the herbicide 2,4-D is used quite commonly by farmers and townsfolk alike, because it is a very effective weed killer. But it can drift for miles, literally, and can be murder (also, literally) on many plants, including tomatoes and peppers. A disclaimer: I’ve been raising heirloom tomatoes for 15 years at our place. 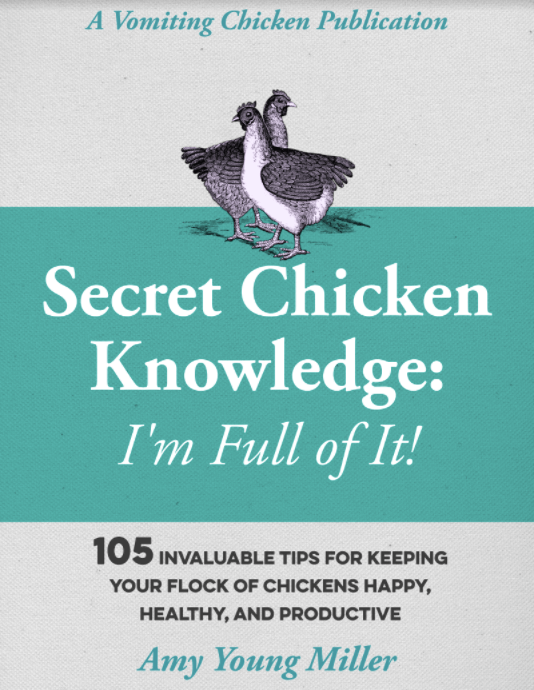 Much of what you’ll read in this post is anecdotal, that is, it’s my story and my experience. No clinical trials are behind it. No double-blind studies (I put that in for my hubby, who is a stickler for such things) either. Just my daily and yearly gardening experience, as a small farmer raising organic veggies in the middle of Big Ag country, where most farmers are growing GMO corn and soybeans, with all the spraying practices that this type of growing requires. I have close friends who are conventional farmers. They are good folks and are very conscientious about being good neighbors. I’m pretty sure they have no intentions of hurting my plants. The first time I remember being hit by 2,4-D, and actually knowing that I had been hit with it, was an early summer day several years ago, after I had planted many of my tomato and pepper plants in the hoop house, but before I had planted the rest of them out in the garden. On my early morning walk out to the hoop house, I noted that many weeds along the path had curled leaves. “Curious,” thought I, wondering what had happened to them. Then I walked into the hoop house and found the same leaf curling on my pepper and tomato plants. I started to feel a little sick at that point. I had no idea what had happened, but the fact that it was affecting certain weeds as well as my pepper and tomato plants, and that it had happened overnight, indicated to me that it wasn’t a plant disease or a bug. I walked back to the house and studied my tomato and pepper plants inside the house, and they also had curled leaves. So whatever it was also had drifted into the house too. Creepy. There is a lot of aerial spraying done in our area of the country. The deep loamy soil here is heavily farmed, with good reason, and most of it around our place is sowed every year with either commercial corn or soybeans. So I figured whatever “it” was that had damaged my plants (some of them grew out of it, some of them continued to curl up and eventually died) was possibly the result of the spraying. 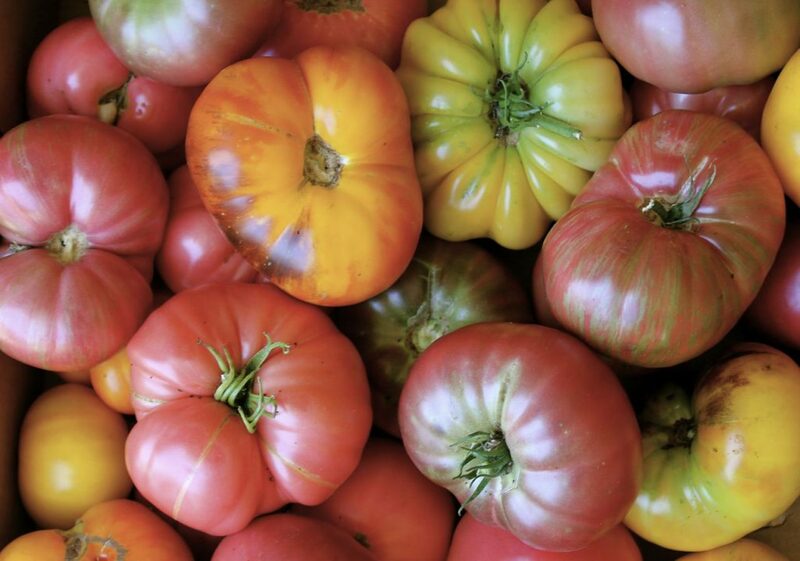 But then I asked a friend of mine, a professional market grower who actually grows more heirloom tomato plants than I do, and she knew what I was talking about immediately. “It’s 2,4-D drift,” she said, with a frown. “We get hit by it every year.” We compared notes, and it did seem to be the herbicide that had damaged my plants and the weeds at our place. I took it personally. 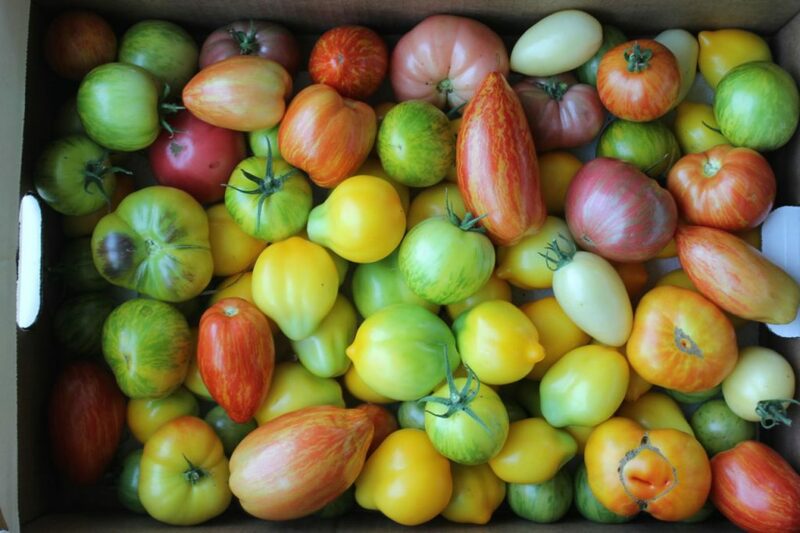 After all, I plant scores of varieties of heirloom tomatoes every year, depending on the sale of the fruit for summer income. I also can up dozens of jars of tomato products for our winter eating: tomatoes, this very popular salsa, oh yes this yummy tomato soup, and so on. I couldn’t go to the store and buy replacement plants, because there’s no store in this area that carries these unique varieties of plants, and if there was one, they’d be prohibitively expensive, anyway. I plant the plants very early in the season (January and February) so re-planting seeds for a summer crop isn’t a viable fallback. I knew if my plants were ruined, I was sunk. Well, that year I lost some plants, but most of them came back and produced well, if not as well as they might have. This year has been different. It has been far, far worse. I’ve had herbicide drift hit my hoop house and garden at least four times, to my knowledge. 2,4-Dichlorophenoxyacetic acid is an organic compound with the chemical formula (you chemistry geeks will enjoy this) C8H6Cl2O3. It is a systemic herbicide which selectively kills most broadleaf weeds by causing uncontrolled growth in them, but leaves most grasses such as grasses relatively unaffected. According to Wikipedia, 2,4-D has been around since 1945, and since its patent long ago expired, many (many many many!) companies produce it. In fact over 1,500 herbicide products contain 2,4-D as an active ingredient. Any company is free to produce it. Shoot. Now that I know the chemical formula, I could produce it, and sell it out of a truck in the parking lot of Wal-Mart if I were so inclined (I’m not). Here’s more from Wikipedia. Scan this paragraph and you’ll begin to understand why 2,4-D damage is such a widespread threat to your garden plants. In domestic lawn and garden maintenance, 2,4-D is commonly used for weed control in lawns and other turf. It is used to kill unwanted weeds such as dandelions, plantain, clover and chickweed. In forestry, it is used for stump treatment, trunk injection, and selective control of brush in conifer forests. Along roadways, railways, and power lines it is used to control weeds and brush which might interfere with safe operation and damage equipment. Along waterways it is used to control aquatic weeds that might interfere with boating, fishing and swimming or clog irrigation and hydroelectric equipment. It is often used by government agencies to control the spread of invasive, noxious and non-native weed species and prevent them from crowding out native species, and also to control many poisonous weeds such as poison ivy and poison oak. 2,4-D is a very effective and widely-used herbicide. In fact, in our county this spring, the road crews sprayed all the brush back (including wild elderberries, wild plums, wild chokecherries, et al, which really pained my forager’s heart) from the ground up to eye-level. I know they have to do something to keep the wild bushes and weeds from getting too close to the road, but this seemed . . . (I’m trying to be nice) . . . dumb. So now, when you are driving along any country road or highway in our county, if there are bushes along the road, they are dead from the ground up to about eye-level. So. Ugly. And wasteful. Um, no thank you. I believe I’ll just raise my own . . . The WHO classified 2,4-D as a possible carcinogen in June 2015. Men who work with 2,4-D are at risk for abnormally shaped sperm and thus fertility problems, depending on amount and duration of exposure and other factors. The history of the development of 2,4-D is not a pretty one, either. It was developed as part of a clandestine wartime effort to create chemical warfare agents for use in WWII, although it was never used that way. The U.S. and Britain were looking for a chemical to starve Germany and Japan into submission by killing their potato and rice crops, but 2,4-D was found to be ineffective for that purpose, since both crops are tolerant of it. (source). In other historical news-to-me: 2,4-D was also one of the ingredients in Agent Orange, the herbicide widely used during the Vietnam war. It gets worse, though, for you and your garden. 2,4-Dichlorophenoxyacetic acid is a volatile compound, in other words, it’s not stable. Basically, your conscientious neighbor could spray his weeds on a very still day, without a hint of a breeze. In your turn, you would breath a sigh of relief that your plants that day are safe, and that your neighbor is being considerate. Three days later–heck, three weeks later–the wind picks up and blows it to your place. It’s volatile. It doesn’t stay put. Which is certainly a huge problem. I had my first plant sale at my place in May, and the week before my sale, my plants were hit by 2,4-D drift. I threw away the ones that were the most damaged, probably 10% of them. I took the advice of a clerk in a nursery that I called (I was desperate!) with the rest, and soaked them well several times a day with a sprayer. (He said that it would help wash the herbicide off the leaves), and they seemed to come out of it fairly well. They looked almost normal by the time I was ready to put them out for sale. If they hadn’t, I would have had to trash the whole lot, not to mention my plant sale. There seems to be a lot of confusion among gardeners about what 2,4-D damage looks like. I’ve never had problems with this particular disease in my garden. One of my tomato plants earlier this summer. Nearly all my tomato plants looked like this, several times during the early weeks after I planted them. See the difference? It is notable. Size of misting droplets: Fine spray droplets will drift more likely than large droplets. High temperatures (above 85°F) during or immediately after spraying may cause some herbicides to vaporize and, like highly volatile formulations, move to other areas. Back to the anecdotal evidence, in my case: each time I had trouble with my plants suddenly curling overnight, I could look around the neighborhood and see that there were big areas of weeds that had been sprayed: the brush and weeds in the ditches were sprayed more than once by the county. The farmer who farms the field next to ours also sprayed a wide swath of weeds between our fence line and his field. I could see the dead vegetation at the same time that my plants curled. Educate yourself. Read everything you can about 2,4-D and other herbicides. Ask questions of those who use them. Call anybody who sprays: your neighbors, the county road crew, aerial sprayers, the Department of Agriculture. Hope for better things next year. 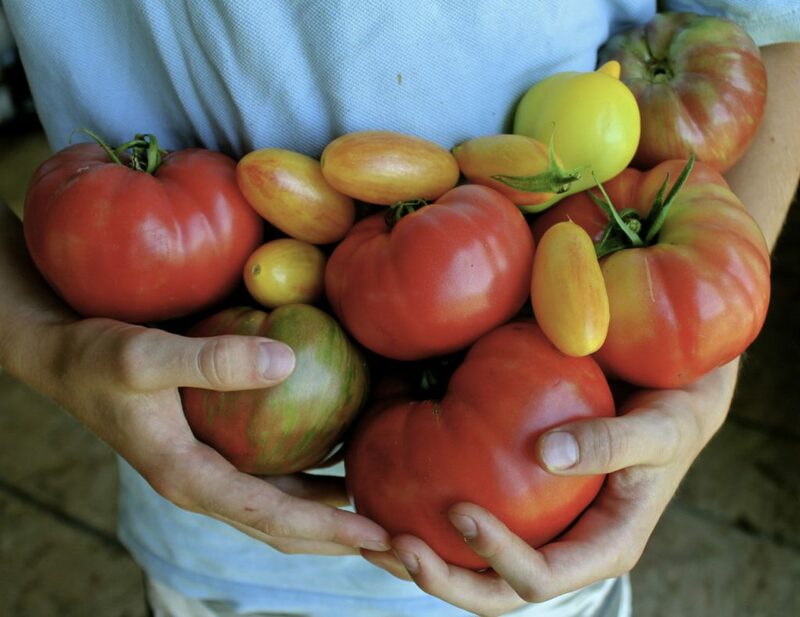 Again, I’m not a scientist or a horticulturist, I’m just a small farmer who loves to grow heirloom tomatoes. I spend an enormous amount of time in my garden and I know it well. Still, I could be wrong. I had the first bad heirloom tomato year that I’ve ever had since we moved to this place fifteen years ago. Many of my neighbors report the same at their places. One friend postulated that the problem might be a virus. I personally think the reason my heirlooms struggled so much was because they were caught time and again with damaging herbicide drift, and it eventually killed them, making their harvest puny and their lifespan short. I’m hoping next year will be different. I’m making ‘phone calls and doing my best to make a little noise about it. What about you? Have you ever had this sort of thing happen to your tomato plants? What did you do about it? Thanks for your comments! We’re all in this together, aren’t we? 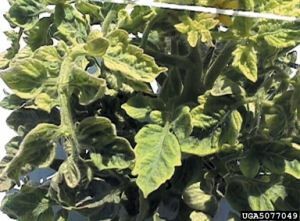 Tagged on: 2, 4-D damage on heirloom tomato plants, 4-D drift what to watch for, herbicide spray on garden plants, how to grow heirloom tomato plants successfully, my tomato plants are dying what do I do? I planted my tomatoes from seed this year too. They were the best tomatoes ever. Heirlooms included. There were about three or four plants that suddenly curled like that. There was no pattern to which ones were curling. Our ag graduate cousin spent a week here and I showed her and she didn’t know what it was. But I agree with you. It was obviously drift. But only affected some of them. Some of my tomato plants reacted much worse to the drift than others, too. I thought it interesting that the currant tomatoes barely showed any effects at all. That might explain the problem I would have when we planted tomatoes in the states. Down here in Mexico I am worried about mint. I can’t get a handle on why my mint will not grow. I get very healthy looking plants and in a couple of weeks I have nothing. One problem might be the fogger that travels up and down the streets every couple of weeks spraying to control mosquitoes. They will make two passes at a time, laying down a heavy fog. We close all the windows but it still drifts inside. Hard to breath for a few minutes. Mexico also has a team that visits you house once every month looking for standing water, old tires with water in them etc. anyplace where mosquitoes can lay eggs. They drop chemicals into that water. There are a couple of plants in the mint family that I am trying to grow and have not been able to figure out why they keep dying on me…perhaps that spray is the answer…..nice article by the way..good research. Are the mint plants in pots? Mint here grows like proverbial weeds. But it does like to ramble, so if your mint is in a pot, it may need to be transplanted into a bigger pot? Sorry about the spray, but I would guess if they don’t spray, mosquitoes are a real problem? Has this had any effect on your bees? Vegetables grow so poorly where we live we have almost given up, but our bees are thriving and I want to keep it that way. 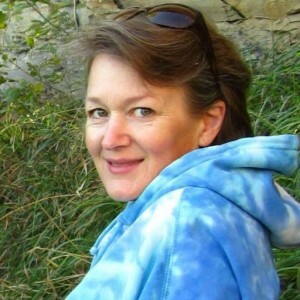 It’s hard to pinpoint what kills our bees nearly every winter, Cynthia. I suspect it is the high amount of pesticides and herbicides that are used all around us that make it very hard for them to survive. We are in Big Ag country, literally surrounded every summer by fields of soybeans and corn that are sprayed regularly. I realize you posted this last year but I’m hoping you can answer a question. 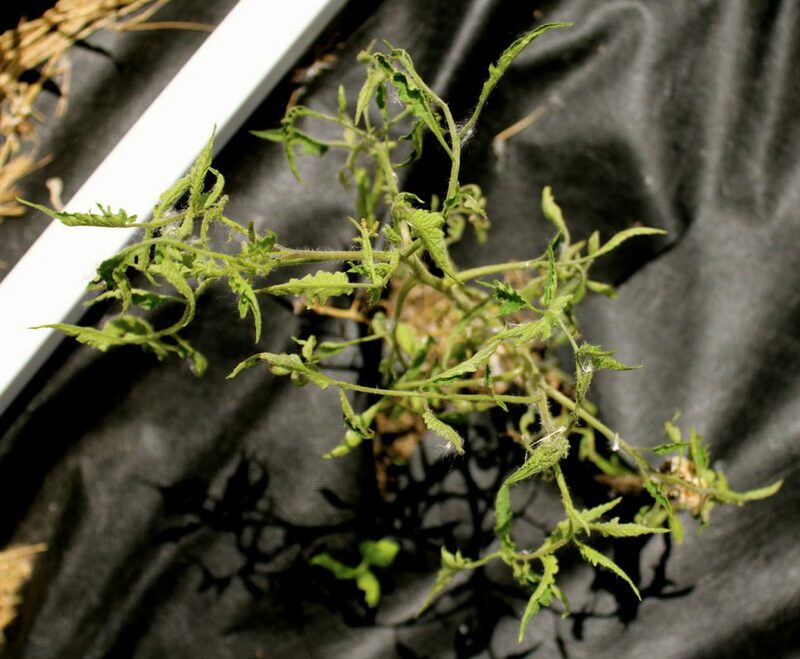 With your hoop house closed up, does damage from herbicides vapor drift still occur on those tomatoes inside? I’ve struggled for three years with my neighbors spraying, damaging my garden. I’m at the end of my rope and looking for a solution. Thank you. Unfortunately, a hoop house was my last resort. My neighbors were alerted that the wind was in the wrong direction to spray and sprayed anyway. A week after sending them pictures of the damage to my tomatoes, I received another dose of vapor drift. I have communicated with the Dept. of Ag and understand how complicated this process is and recognize that my neighbors may not be breaking any rules or regulations for a violation to occur. I decided my only option is protecting myself. I do understand about heat stress but between the plants experiencing heat stress for 12 hours or until the threat passes or injury from vapor drift from which they won’t recover, I think I’ll take heat stress. I am usually alerted to spray days (water truck rumbles by) and have ample time to close up shop. 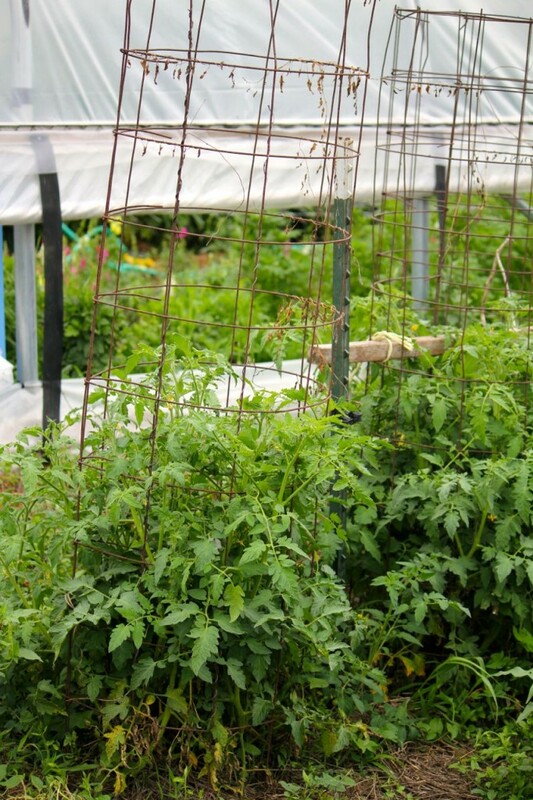 Hoop house inspection could be done routinely with repair of gaps\holes. And we are thinking of placing the hoop house so that it receives shade in late afternoon just for the purpose of reducing heat stress on spray days. If this is not an option I’m going to have to retire from gardening until dicamba is outlawed! Which could be soon! Thanks for your input.